The Pacific region is making headlines across Australia after Pacific and International Development Minister Concetta Fierravanti-Wells harshly criticised Chinese aid in the region. 'Useless' is how Fierravanti-Wells has described Chinese aid projects, leading countries to take on debt they can't afford. While her concerns are legitimate, her blunt delivery hasn't been constructive and has led to some considerable political and diplomatic fallout. So what's the real story? Is Chinese aid in the Pacific useless? The answer is not so simple. China's aid program is so opaque it is very difficult to understand exactly what it is doing. China does not conform to the sophisticated reporting and accountability mechanisms that traditional Western donors have developed over decades of aid delivery. According to some estimates, China announced more than US$350 billion in aid between 2000 and 2014 under a shroud of secrecy, leading to considerable anxiety about where, why and how Chinese aid is given. This anxiety extends to the Pacific, where since 2006 China has rapidly expanded both its commercial ties and aid program. The Lowy Institute has invested considerable time to better understand China's engagement. Our map of Chinese aid in the Pacific shows projects committed from 2006 to the middle of 2016. By scouring budget documents from countries across the Pacific, Chinese government websites, secondary sources such as conventional and social media, and conducting numerous interviews, we have compiled the most comprehensive picture of China's involvement in the region. It is not perfect, but it identifies and quantifies Chinese aid better than any other source. Our research shows Chinese aid in the Pacific has grown substantially, with China committing more than US$1.7 billion in aid to eight Pacific Island countries (including Timor-Leste). To put this into context, total traditional aid to these countries over the same period was over US$9 billion, with aid from Australia making up almost two-thirds this amount. An important distinction must be drawn between Chinese projects and traditional ones. China typically engages in large infrastructure projects by providing low interest, or 'concessional', loans that eventually have to be repaid. There is often scant information beyond an announcement, with no detail on the terms of these loans or repayment schedule. Australia and other traditional donors typically provide one-way grants that do not need to be paid back and engage in more complex (albeit far from perfect) forms of assistance across multiple sectors, from humanitarian assistance to governance support. To illustrate this point, while we have identified 216 Chinese aid projects in the Pacific from 2006, there have been more than 5000 projects carried out by traditional donors since only 2011. While Chinese numbers may appear large, it involves a concentration into select large projects. Because of this distinction, comparing Chinese aid to Australia's is like comparing apples and oranges. China has emerged as a significant donor, yet is it clearly still not the biggest player in the Pacific. Understanding the quantum of Chinese aid is only the starting point. The greater challenge is understanding quality, the point that has landed Fierravanti-Wells in strife. Such judgments are not black and white, and ultimately projects have to be assessed on a case-by-case basis. The best research on this, looking at the experience of four countries in the region, has found that effectiveness of China's aid to be mixed; projects in Samoa have largely led to positive outcomes, while the experience in Tonga and Vanuatu has been less positive. Importantly, the authors find that the quality of Chinese aid projects are 'dependent in large part on the actions of Pacific Island governments'. This shouldn't come as a surprise. China is not forcing aid on these countries; the Pacific governments have to tell China what they want and manage the projects to a standard that ensures China delivers. With these findings in mind, a criticism of Chinese aid is also an implicit criticism of the governments in the region that agreed to the projects in the first place. The point Fierravanti-Wells makes about debt distress is a fair one. The International Monetary Fund has noted that Tonga, Samoa and Vanuatu all face considerable debt repayment pressures, and all have significant debt to China. Xi Jinping has even acknowledged the debt burden in the past, promising forgiveness that has yet to eventuate. There are also cautionary tales elsewhere in the world of China taking advantage of debt-distressed nations. Considering the portfolio of loans in Pacific countries (think government buildings and conference facilities, rather than critical infrastructure projects such as deep-sea ports or airports), this seems less of a problem, though certainly worth keeping a close eye on. But again, much of this responsibility must rest with Pacific governments. 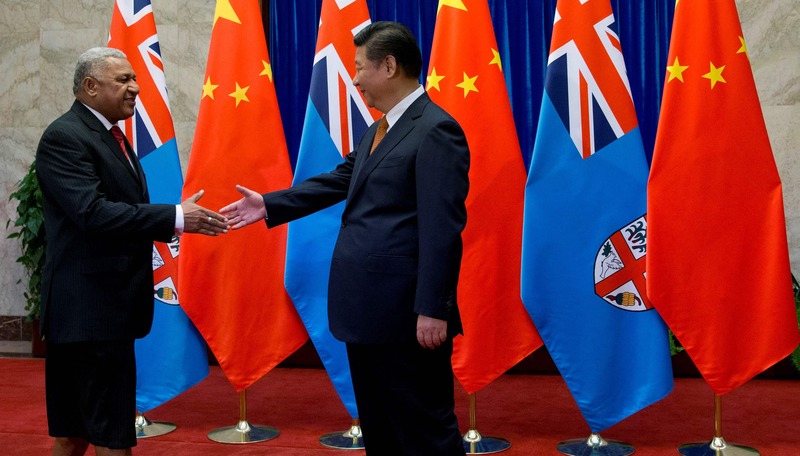 Australia can't criticise China without criticising decision-makers in the Pacific as well. Given this messy context, the statements by Fierravanti-Wells, while not without basis, have not been constructive. Attacking the new kid on the block is the easy way out, and Australia is a far from perfect player in the region. The government should instead be working harder to encourage the role of Chinese aid in the Pacific, acknowledging it as an important complement to Australia's aid. China's continuing attention on the region should also be a catalyst for Australians to take a hard look at themselves and ask how they can do more in the immediate region and work with all actors towards a more prosperous Pacific.